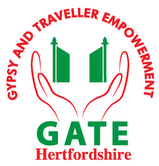 Gate Herts assures clients and their families that it will not withdraw or reduce services because someone makes a complaint in good faith. Gypsy Roma and Traveller (GRT) people are more likely than most other ethnic groups to be the victims of hate crime. Abuse and discrimination against GRT people is too often seen as the last acceptable form of racism, reflecting institutional views of GRTs and how they live their lives.